Happy Birthday, Scorpio! 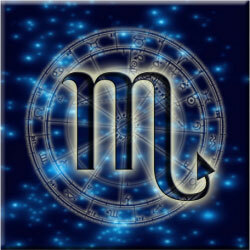 The Sun and Venus (Love and Money) tour your 1st House of appearance, personality and popularity. Circumstances tend to benefit you, and your personality stands out this month as others find your company entertaining, magical and most mysterious, Scorpio. Good news, Scorpio! Venus (Planet of love, appreciation and admiration) begins November in your 1st House, joining the Sun and Mercury (11/8) which promise bring about a month that will be fortunate for you. With Venus in Scorpio, this is considered the best time of the year for your sign in regards to love, money and your hopes and dreams, Scorpio. Singles could meet "the one" while couples feel more connected than ever. Sexual and romantic chemistry will be off the charts, single or coupled. An ongoing relationship makes it to the next level during this time while Venus will be in your 1st House until 11/16. Mercury will remain in your sign until 11/27, so you can count of many discussions taking place this month where you, your hopes, goals and wishes are discussed and throughly explored. On 11/16, Venus will enter your 2nd House of income earning potential, finances and personal possessions. This transits makes Scorpio keenly aware of his or her personal possessions and this placement asks that you decide what and who means the most to you and you learn why. The only danger with this placement is that you become so involved in romantic pursuits that you might lose yourself or your identity via a current romantic partner. Stop trying to please a partner so much so that you lose sight of your authentic self by putting everyones needs ahead of your own this month.